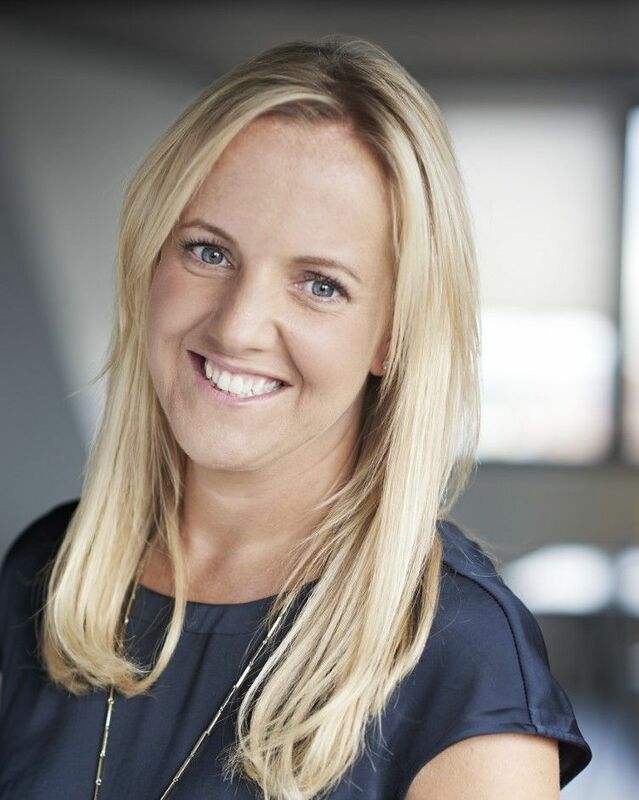 She joined the business just six months before the retail mayhem of Christmas in a newly created ‘customer director’ role, but already Hannah Webley-Smith has big plans for where she wants to take Notonthehighstreet in 2017. Webley-Smith's appointment came at a turning point for the online marketplace. It had enjoyed sustained growth (sales were up 19% for 2015/16 - its tenth consecutive year of double-digit growth) in the UK but the same couldn’t be said for its European business which was forced to retreat from Germany in 2015. Then, in August, came the injection of £21m in investment. Some of the funds will go on exporting the brand overseas under a new strategy, but a portion has also been earmarked for building awareness and loyalty for the brand . Webely-Smith has her work cut out, admitting that there’s still some confusion around the brand and what it stands for. Her strategy for getting there is, on paper, relatively simple. The brand has been experimenting with channels like experiential, pop-up shops and media partnership as well as investing in its above-the-line activity. It will ramp up these efforts but beyond that Webely-Smith believes it should venture further into gifting moments outside of the big four (Christmas, Valentine’s, Mother’s and Father’s day) and be front of mind for occasions like birthdays, housewarming, new baby etc. She also wants the brand to be known as a place to go for more than just presents but for self-purchase in areas like homeware and jewellery. Underpinning this confidence for Notonthehighstreet to take the brand beyond these well-established gifting occasions is the wider cultural shift away from mass-consumerism as people opt to spend their money with independent, ethical and homegrown companies. “We’re in a different era today. Buying local is not just a UK phenomena, it’s global, and brands that are understood and telling that story will win. It’s now falling onto open ears more than 10 years ago,” said Webley-Smith. The biggest indicator that it should be capitalising on this shift came recently, at an event it ran in partnership with fashion title Stylist, which saw several of Notonthehighstreet’s merchants come together for a series of ‘workshops’. Attendees were then able to watch and get involved with the products being made as well as understand more about their provenance. The success of the event emphasised a suspicion Webley-Smith already had; that consumers want to co-create, ask questions and get answers instantly. Although the event only happened last month, she is already thinking about how to develop it further. “We could have sold workshops five times over,” she said. However, with its name being ‘Notonthehighstreet’ Webley-Smith is keen that it uses this as a “theatre and education” tool, rather than something which will be a big revenue driver. “For me this is no different to investing in an ATL campaign,” she said. Under this plan, changes to the media mix will be inevitable. Notonthehighstreet has not been afraid to experiment and tell the brand story across a variety of channels. However, moving forward she's looking to work its CRM data much harder (“we’re not as far as I’d like,” she admits) as well as put greater focus on its content and experiential marketing programme. Display is where a large portion of budget is currently going: “It’s every businesses’ dream to step back from spending on Google but it’s a scary strategy,” Webley-Smith said. Above-the-line, then, will continue to be the main benefactor of this movement although to manage the mix it has pulled away from print media spend. But that’s not to say it won’t be working with publishers, in fact it recently struck one of the most significant content partnerships in its history with Hearst. Called ‘Give like an editor’, it has seen the brand work with influential editors from Elle, Red, Harpers Bizarre, Country Living, and Esquire to put together their gift wishlist. Each editor has told a story about why they’ve picked those products and the content will live on each of their platforms during the festive period in a dedicated hub as well as on the Notonthehighstreet site. This is the kind of activity that Webley-Smith is keen the brand invest more time and money in, over standard format advertising. Playing with the media-mix in such a way is made easier by the fact that Notonthehighstreet has a strong in-house creative department; from a team of 57 in marketing, 23 are dedicated to its creative output. it has adopted a partnerships approach and ad agency Mother continues to manage the overarching ‘creative’ idea. However, this model has given rise to issues over continuity and integration. “Where we’ve possibly not been brilliant in the past is that in having in-house and external partners we can end up with disjoined creative and that confuses the customer. What I’m hugely passionate about is making sure you don’t see the distinction between the people who are on payroll to the people who are in an agency,” Webley-Smith explained. Achieving this is considerably harder than it seems, somehting that was emphasised in the recent sale of creative agency Karmarama to management consultancy Accenture. The agency realised that connecting experiences across channels, online and offline, is the key remit of this rising ‘customer director’ role. But, quite simply, it didn’t have the expertise to do it alone. Webley-Smith admits Notonthehighstreet is still trying to figure out the kinks, but believes this kind of connected marketing is the future. "It’s a new way for Notonthehighstreet to be thinking. [Our team and agency] have worked separately in their areas but we’re trying to put the customer at the heart of everything. And if we’re really going to be doing that they need to be thinking about what she’s doing and thinking at any given time and then making sure we’re staying consistent around the creative campaign we’re putting out,” she added. The final habit that Webley-Smith wants to kick at Notonthehighstreet in 2017 is the reliance on ‘prompted awareness’ of the brand as a measure of success for how marketing activity is performing.